Homesick U.S. natives living down here can visit Hawaii, Alaska, San Francisco, San Antonio, Los Angeles, St. Louis, Chicago and maybe Philadelphia all in one day without ever leaving Guatemala. And you may do so without a passport or a Star Trek transporter room. I will prove it to you. 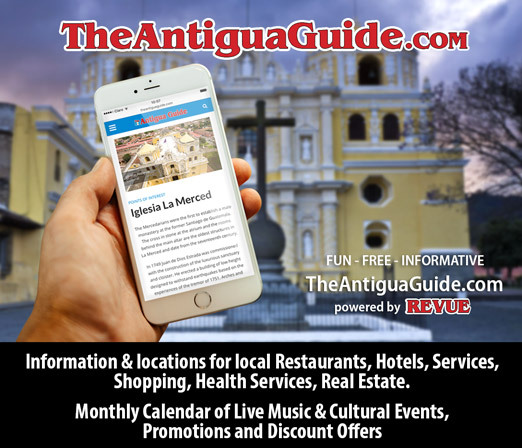 To get started you need a recent map of la República. I blame the ayudantes on intercity buses for this. Anywhere else in the country, you hear them shouting “¡El Salvador!” from the doors of buses approaching rural bus stops. On my first notice of this, perhaps 10 years ago, my thought was, “It’s some national holiday, and this shouting has to do with patriotism or national pride.” But no. 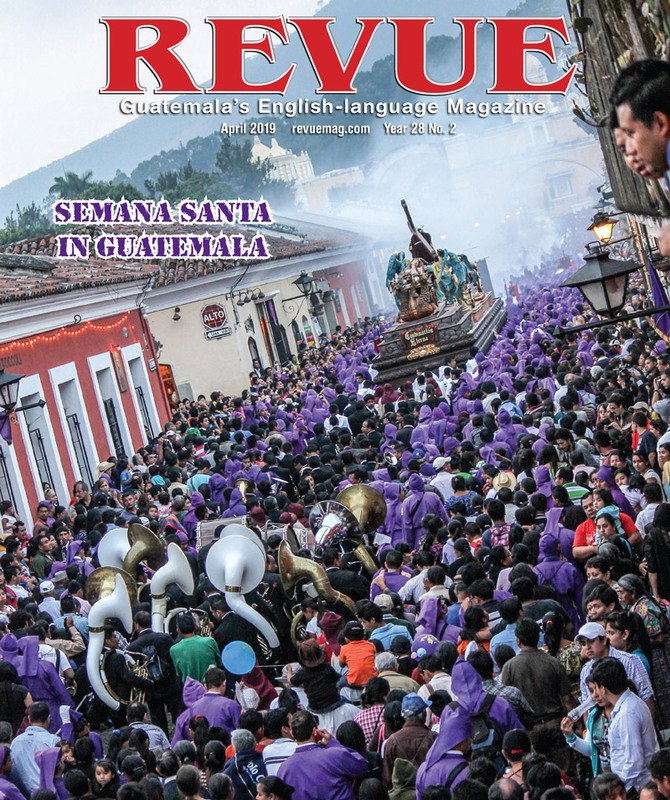 Inside of la República, we increasingly say “Guatemala” when we used to say Guatemala City. The translation of this latter name, Ciudad de Guatemala, is in fact never heard anywhere. It is a written form for official papers. Our second most important city also has written and spoken names. The written name—Quetzaltenango—is always understood in speech, but it marks you as a newcomer. The spoken form is Xelajú, which I take pains to say completely; I consider the shortened form, “Xela,” an undignified corruption (for which, again, we probably have bus ayudantes to thank). 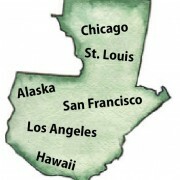 But why does our second city have two names, and why is the spoken one the preferred one among our hosts? The written name, Quetzaltenango (place of quetzals) was previously spelt without the first t (“Quezaltenango”). I forget what a quezal must have been, but adding the “t” might have been a way to draw more visitors, even though quetzal birds had long since disappeared from that region. The spoken name, Xelajú, is much older, and a Quiché Mayan place name. Que(t)zaltenango was imposed by the Tlaxcaltecan allies of Pedro de Alvarado, who is “credited” as the conqueror of Guatemala. In reality, he could not have conquered the region without the aid of these Tlaxcaltecans, who a generation earlier enabled Hernán Cortés to conquer Mexico. The Tlaxcaltecans were, like their Aztec foes, a Nahuatl-speaking people, and the countless place names that are Nahuatl in origin (Chimaltenango, Coatepeque, Totonicapán) are a legacy of their presence in Alvarado’s legions. Many settled here and added to the collective pedigree of modern Guatemalans. But the trauma of the conquest is still felt, so locals go on preferring the old name. By an edict of the court of Emperor Charles V, ruler of Spain during the era of conquistadores, no town in the colonies could have a charter until assigned a patron (or a holy object, like cruz) and named for the same. Now there are many more places than canonized saints; accordingly, additional names had to added to place names to enable distinction. In much the same way, the innumerable expat Daves, Mikes and Bobs in Panajachel append qualifiers to their names (in normal communities, last names serve this purpose, but Pana expats forget their last names within six months; we cannot blame ayduantes for this—maybe it is the water supply). We have Wheelchair Dave, English Dave, Sawdust Bob, Chocolate Bob, Coffee Mike, Sausage Mike and so on. There is even another Panajachel elsewhere in la República, but for them postal workers require “last names” (i.e., department names). Some towns come to be known for their patron saint and others for their added name. Panajachel is officially San Francisco, in honor of Francis of Assisi. And yet you can buy a house here, raise kids, run a business and be buried here without ever knowing this. The most troubling case of mistakable identity is the two Guatemalan cities with the same first and last names: San Pedro Sacatepéquez. Location may provide context if you are near one or the other. But if you are remote from either, you must say “the one in San Marcos” or “the one near Guatemala.” The latter at least takes its last name from its department. 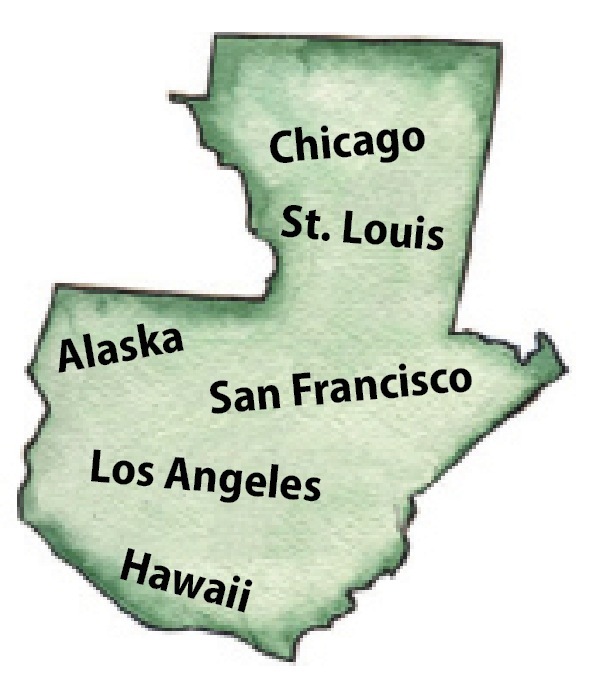 Alaska and Hawaii are not names that colonial authorities would have recognized. And they are not names of chartered municipalities, but they are recognized by cartographers (futhermore, bus ayudantes had no role in their christening). Both are handles for aldeas, units within municipalities that have their own submayors and councils. Alaska is a chilly village in the Highlands. Hawaii is a humid one on the Pacific. So, can you really visit all the places listed in the first paragraph of this column? You can—thanks to the double-place-name phenomenon. Start in Hawaii. Drive north, bound for Alaska, a trip normally taking five hours. But take scenic detours that will carry you though any of the towns named San Luis Something, San Francisco Something, San Antonio Something, and Something de los Ángeles. Also, there is probably a San Something Filadelfia that will not take you much out of the way. This leaves Chicago. To include Chicago, I cheated some. So add Chichi to the route, and you have done it.